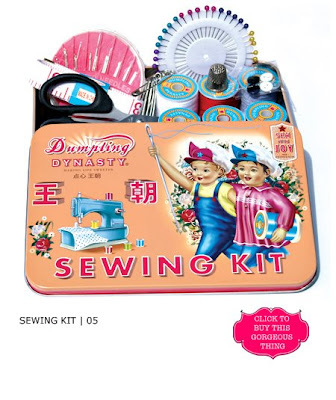 My local newspaper featured these kits recently and I dare say, I don't think all of them are just for little girls. A British company called Wu & Wu makes these brightly colored, Chinese-inspired toys and accessories. 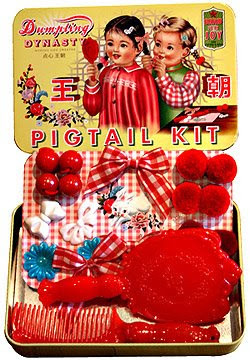 The pigtail kit, featuring real wool pom-poms, is adorable, as well as the baking and sewing kits, and they hover around a $14.95 retail price. You can order them directly from the Wu&Wu site or find a list of retailers in the U.S. that carry them. I found a U.S. company called FridgeDoor that allows for online ordering and carries even more trinkets including a coin purse and pencil box. Why not introduce the child (as well as your inner child) in your life to some retro-inspired trinkets that don't require batteries? Julian Lennon: Too Late for Goodbyes?